36 ACS OFF GRID GOOD WELLS IN AREA KINGMAN AZ! Lot 119 N Bob White. 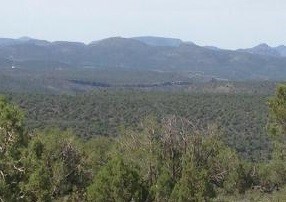 A very private 36 acre parcel on the north border of Willow Creek Ranch. 36 Acs Off Grid Good Wells in Area Kingman AZ! It adjoins acres and acres of public land. A 36 acre minimum community, with rough topography, abundant wildlife, great water and incredible views. You can build a hunting or vacation camp, or create a self sufficient homestead here. 36 Acs Off Grid Good Wells in Area Kingman AZ! Please visit our Willow Creek Ranch Facebook Page!